Start Building Your Dream from Nature with Lake Country Log Homes. Located in beautiful British Columbia Canada, we are the premier developer of Handcrafted Log and Timber Frame homes. We pride ourselves with our extensive capabilities, quality of service and superior craftsmanship. We know that it takes more than good supplies to produce a quality home. It also takes heart and a genuine love for the art of log home building. We are committed to being a leader in building beautiful, energy efficient and sustainable homes that are not only aesthetically appealing but comfortable to live in. We can guide you through the complexity of building your own custom home. Whether it’s a Western Red Cedar character cabin with flared butts, a Douglas Fir home or another premium log and timber choice, we will take great pride in every aspect of the building process: from your custom designed blueprints to the careful handcrafting of your log and timber package. This website contains a wealth of tools and information designed to inspire and empower you during this exciting process. For example, our extensive photo gallery provides a truly unique view of our manufacturing and construction process. You will be hard pressed to find similar content elsewhere that shows so much of how BC trees are crafted into beautiful buildings for families and communities. There are also hundreds of photos showing a wide array of finished log buildings: from the small and functional to the grand and luxurious. Do you need to see details and measurements while clarifying the scope and nature of your dream home? Then please spend some time looking at our floor plans! There is plenty of content there to help move your vision closer to reality. Generations of family pride and history are what make Lake Country Log Homes (LCLH) so passionate in helping clients build their custom Handcrafted Log or Timber Frame Cabin Home. Whether it is for a Western Red Cedar Character Log Cabin with Flare Butts, Western Red Cedar Log Cabin Home, Douglas Fir Log Cabin Home or other premium Log & Timber choice, we will take great pride in every aspect of the building process: from your custom designed blueprints to the careful selection of your Log and Timber Package. With so many years in combined family experience, we can assist you with anything you can imagine or desire. We will create the Log Home, Cabin or Cottage of your dreams! "Crafstmanship and attention to detail throughout." ". 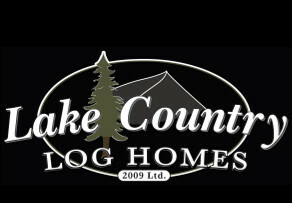 . . very lucky to have found Lake Country Log Homes." "All the buildings look great and they are iconic of our business image"
"Didn't have hidden costs and bait and switch techniques." "It has been a great pleasure to work with LCLH in building our lovely home!" 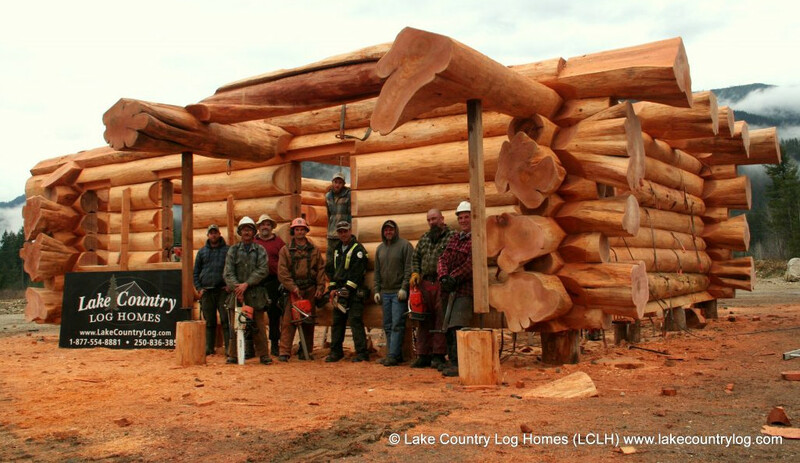 "We have to thank Lake Country Log Homes for their skill and expertise." "Artisans who take pride in their work." "Nobody from the other companies responded that quickly"
"They created a truly outstanding facility." "Helpful with every decision we had to make." "We were delighted at how things came together." "Our cabin turned out amazing!" "Their professionalism extended all the way to the final product." "A professional yet personal style of service." "Our new home is spectacular." "(LCLH) creates and delivers a superior product in every way." Let’s discuss your vision and plan your upcoming project. We now have family in Canada!